Having the right insulation will make your home more comfortable no matter where you live. If you live in Antarctica or sweat it out here at home in the Texas heat, the R-Value of insulation is the key factor in controlling the temperature of your home. Because of the laws of thermodynamics (see Newton’s second law of Thermodynamics) heat naturally wants to flow to cold. This is true when talking about the air inside of and around your home as well. When cold air collides with hot air, the hot air cools down because of the transfer of heat energy in the air molecules. Because of the physics involved in bodies of air with different temperatures, the heat produced by your HVAC unit heat wants to flow outside in the winter. The opposite is true in the summer, when the heat from outside wants to flow into your home and ruin that nice cold AC you’re paying so much for in electricity costs. The latter is a much more common concern in Texas of course, but we can also have some pretty cold days in winter as well. The good news is that if you have high-quality professionally installed insulation with the right R-Value, you are reducing the flow of heat in either direction that means your insulation improvements will help you year round. But what is R-Value and why is it important? First, let’s start with why it’s important. Having the right R-Value will save you money year round. It will make your entire heating and cooling system far more efficient, meaning it will run less, consuming less power, and causing less wear and tear on your HVAC unit. This results in lower electricity and maintenance costs. Depending on how poor the insulation is prior to installation of properly fitted insulation of the right R-Value and type, sometimes the difference can be very substantial. R-Value sounds sort of technical, but the R simply stands for resistance. The R-Value is the numerical value that represents how effectively an insulation resists the flow of heat. The higher the value, the greater the insulating power. Higher R-Value insulations are often a higher cost as well though, so its important to choose the right one for the right job. 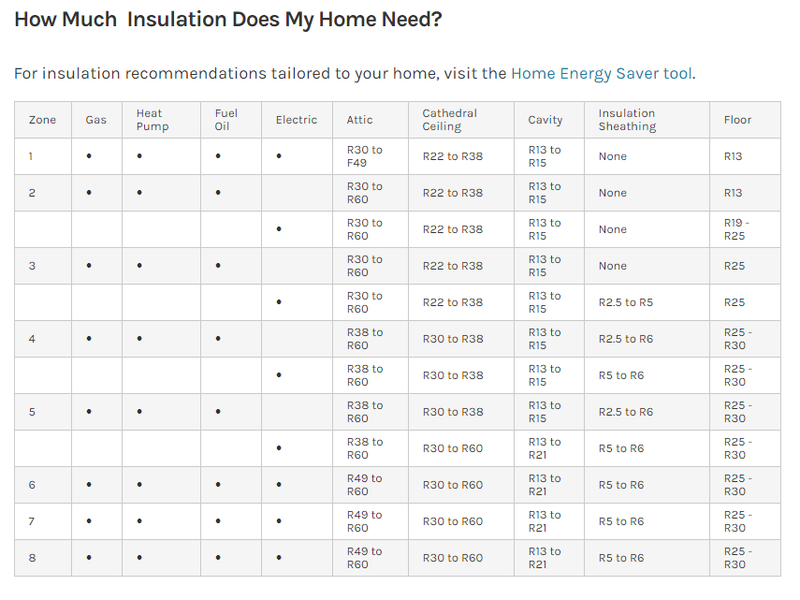 The Resistance Value of an insulating material gives you a way to easily compare insulation effectiveness, and the value even holds true across various insulation types, allowing you to compare different types of insulation using the same value scale. This is especially useful for insulation professionals when trying to provide you with the best insulation for your money. How Do You Know What R-Value is Right? This all depends on where you live of course. If you are stationed in Antarctica, your needs will differ slightly from those of our Texas neighbors. Colder climates tend to have a need for higher R-Values in insulation. The way your home was built is a key factor in determining insulation type as well. 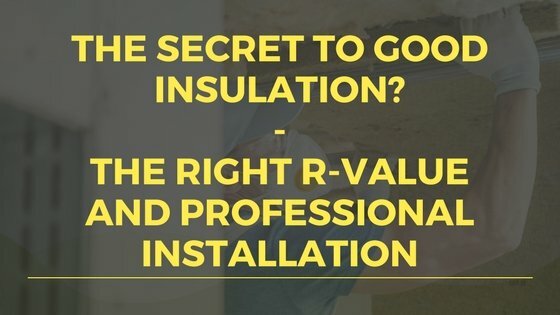 If you have high vaulted ceilings, a basement, slab foundation, single or multiple levels, these are all things that need to be considered when choosing insulation of the right R-Value. Additionally, it may not be best to use the same R-Value insulation throughout your home. Typically higher resistance insulations are recommended in attics or high ceiling areas, the best way to figure that out is to consult with a professional and get an insulation audit. The U.S. Department of Energy has specific recommendations for the total R-Values of homes throughout the country. Here is a map of the country with the zones shown. Texas falls into zone 2 and 3 which means they have a specific range of recommended R-Values for insulation installed in homes in that zone. How Can I Tell Where I Need More Insulation? The best way of course is to hire a professional to assess the home for any leakages and areas of temperature transfer that are causing you issues. However, you can most likely review your home yourself and find lots of areas with issues. Check out your heating system, make sure it is properly insulated and that the air filter is clean and airflow is good. Check around your windows and doors. Do you feel any air moving through the areas around them? That’s a sure sign there is something wrong. Look for any openings, cracks, or areas where wires or pipes come into the house from below or outside. Look for places you might suspect you could be losing all the air and wasting all the hard work you’re doing to pay the electricity bill every month. Bear in mind that R-Value can only work effectively if the insulation is correctly installed. That’s one of the many reasons to choose a professional insulation installer, in addition to avoiding all the hot and dirty work involved. If insulation is installed haphazardly or incorrectly, the heat can flow through cracks and improperly filled areas, and you will lose money every year because of that small mistake. So while the resistance value of insulation is important, it isn’t the only factor involved in properly insulating your home. If you are interested in a free consultation regarding the insulation in your home and live in the Dallas Fort Worth area, please reach out to the attic insulation installers at Dimensional Contracting today via our website or by phone at 817-966-9605.